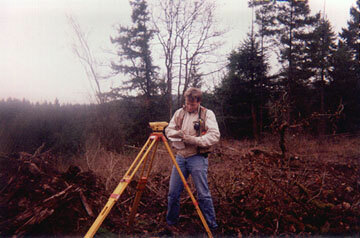 Called "Geomatics" in Canada and much of Europe, land surveying is known as the world's second-oldest profession. It dates back to ancient Egypt and Babylonia. 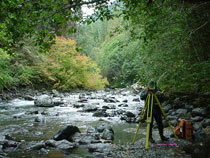 Surveying is essentially the art and science of measuring and mapping land. While the entire scope of our profession is vast, it all eventually boils down to determining where people's land boundaries are located. Without this service, railroads could not be built, skyscrapers could not be erected, and individuals could not put up fences around their yards, for fear of trespassing on someone else's land. Would you like an interstate highway to be built in your backyard, one you've paid for, maintained, and paid taxes on for years, without your permission? Of course, how would you know it was in your backyard without a surveyor to tell you where your property even was? We also stake out boundaries of roads to be built, monitor skyscrapers to make sure they are being erected vertically, and measure airports so that the runways are perfectly aligned and smooth. So, if you see a guy in the road looking through an instrument on a tripod, that is a surveyor, now you know that he is doing more than taking pictures. 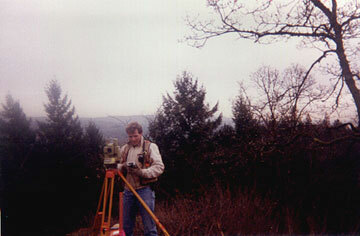 I am a Professional Land Surveyor (PLS), licensed in the states of Washington, Oregon, California, and Colorado. 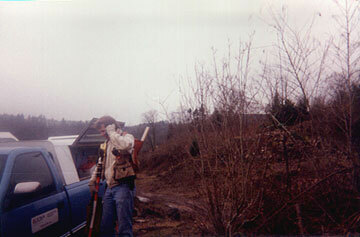 I am also a Certified Water Rights Examiner (CWRE) in Oregon. I manage survey projects from the office, performing calculations, contract management, and other office tasks, such as writing legal descriptions, mapping, and prepare finished products for our clients. I've been surveying full-time since I was 15 years old, and I now work for W&H Pacific, one of the premier multi-disciplinary engineering and consulting firms in the Western United States. 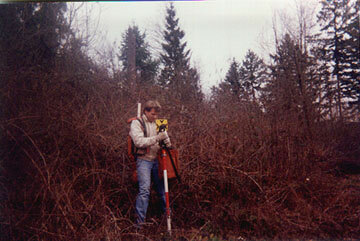 A surveyor is more than one of those guys you see out in the road. 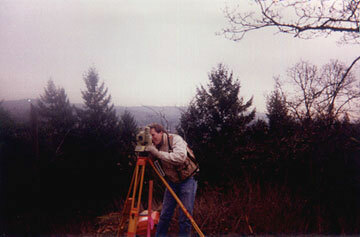 Surveying is a vital part of the design and construction process. We perform boundary surveys to tell people where their property is, map the topography of land for engineering design, establish elevations of homesites for flood insurance, perform title surveys for real estate transactions, certify that structures are built according to design, lay out buildings, subdivisions and other construction projects so the construction companies can relate the engineering plans to the real world, and build control networks that all land parcels can relate to in a given area. We also map slopes and areas for pay volumes or quantities, map river bottoms for dredging, lay out photo control for aerial photography and photogrammetry, write legal descriptions that are used to describe pieces of property, map and layout corriors for tunnels, roads, airports, pipelines, cellular networks and railroads, and split up properties into new lots, such as subdivisions. Below, I'll give you a brief overview of what the guys you see in the road are really doing. The photos are a bit out of date, but you'll get the idea. GPS is a tool we use for precise positioning of points. It operates through satellites which send out signals to our receiver (the thing on the tripod). The receiver then transmits those signals to our data collector (the thing I'm holding), which stores the data. After we get it into the office, we download the data into the computer, and the computer software resolves from the data the exact position of our point within a few millimeters. 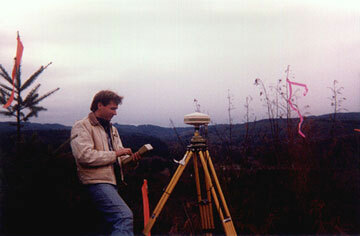 The primary function of the field surveyor is measuring, mapping, and observing. Our most important tool for these purposes is our total station (that's what I'm using in the top photo). It's given this name because it incorporates a distance meter for measuring distances and a theodolite for measuring angles into one instrument. The total station measures by sending a beam of infrared light toward a prism, usually supported either by a tripod or a pole (like I'm holding in the center photo). The light reflects off the prism directly back to the total station. By measuring the time it takes for the light to return, the total station calculates the distance away that the prism is. The information that the total station measures (angles and distances) is recorded in a data collector (that's what I'm holding in the bottom photograph) for later downloading into a computer in the office. The data collector also doubles as a field computer, enabling us to calculate coordinate geometry in the field and figure out the proper position in which to put our stakes. There are different ways we compute elevations of land.  The way I'm doing it in the picture is called differential leveling. It's called this because you are calculating the difference in elevation between two points on the ground. You basically look at a ruler held on the ground and see how high above the ground your level is set up. Then you look at the same ruler on a different spot on the ground and see how high above that spot your level is set up. This gives you the difference in elevation between the points. We also derive elevations with our total station by using geometry and measuring the angles and distances, and by Global Positioning System by intersecting vectors from satellites in space, but this is often the easiest way. APPROVED FOR THE NCEES EXAMS!